After a warlock baby is abandoned on the steps of the Academy, Magnus rescues the child – and brings him home to his boyfriend, Alec. This standalone e-only short story follows the adventures of Simon Lewis, star of the #1 New York Times bestselling series The Mortal Instruments, as he trains to become a Shadowhunter. Tales from the Shadowhunter Academy features characters from Cassandra Clare’s Mortal Instruments, Infernal Devices, and the upcoming Dark Artifices and Last Hours series. 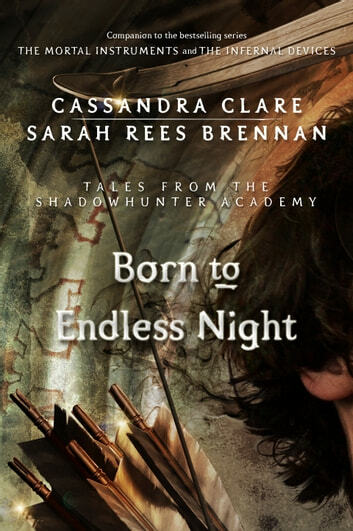 Born to Endless Night is written by Cassandra Clare and Sarah Rees Brennan.